Corroborating this information, sea surface temperatures around Scandinavia don’t show any rise. Indeed, the water appears to be cooler than it was 60-80 years ago. Where could that heat be hiding? There’s more info at the source. Frank has done a great job assembling and making an encyclopedia of graphs and information. There’s an A – Z panel. It’s a fine source I recommend. And don’t forget, if you need to insert a graph into the comments, you can do so using the “img” button. Graphs do help to lift the quality of comments, but they will slow the page loading, so please use them wisely. Jo, did I hear you ask for the IPCC to ‘CLEARLY’ explain? This does not compute. We seem to have an endless series of gates … it is like living in a house of mirrors – unbelievable! I couldn’t have put it better myself. Did you actually check, or merely believe (in contrast to your stated position)? Quote: “This is not, and never was, a “scientific debate” over “climate change”, between “consensus opinion” and “deniers”. It is a no-holds-barred, to-the-death battle against global social engineering, being waged between realists on one side, and programmed, brainwashed cultists on the other. Accept it, get used to it, and get on with it. “Go have a look at the material at http://www.teachingclimatechange.com.au . This is the preferred and recommended material for “science” lessons about “climate change” in Australian junior high schools today. See for yourselves, it is absolutely breathtaking. The site is the creation of The Australia Institute, the founder of which is none other than …. (drum roll) … Public Intellectual extraordinaire Professor Clive Hamilton, who was also until recently its Executive Director. This doesn’t surprise me, however, as Hamilton is also the co-author of the book “Affluenza”, which my 16-year old son is currently having to read as part of the Year 12 (final high school year, for our overseas visitors) English curriculum. This book is in essence an ill-disguised political manifesto for anti-capitalism, anti-growth, anti-consumption, and pro “social justice” and green, minimalist lifestyle. Michael attends a private, nominally Christian school, and still we get lumbered with this sort of dangerous c**p.
Thank God for Mark Lopez and “The Little Black Schoolbook” (google it and see …) I feel sorry for all the kids who don’t know of this excellent little antidote to educational indoctrination. Yes, it’s a disgrace that although you pay good money (I’m guessing ~$1500/yr Cat-Lick school?) to send him to a school where he is forced to submit to adults teaching him about the existence of a sky-fairy, they won’t burn all the books you disagree with. Ooooh, we have a new, angry spitting little troll in our midst – how cute! Do try to abstain from excessive schoolboy name-calling, “Max”, it makes you look unintelligent. My name may invite various funny rhyming insults but believe me, I’ve heard them all before (yawn). At least some of us have the courage to post under our own name, how about you? Thanks Anne-Kit for “The Little Black Schoolbook” reference I will have a look. My daughter year 12 was annoyed should couldnt get to hear Monkton speak but she had just started back at school and couldn’t make it. She has had enough of the teachers trying to ram the cult of AGW down their throats, luckily she like the students that caught Krudd out in his Q&A, has her own independent thoughts. I’ve spent many years in the outback of Australia and I know from my experience and from those who lived there in the 1930′s that today’s temperatures are milder, if not the same. The food bowl in the U.S. also turned into a dust bowl in the 1930′s. This is simple factual recorded history from the blissful days that predated vested interests. Scott, my son was in the same situation. He really wanted to go but had too much homework. I think there are more youngsters like ours out there, we’ve just got to encourage them to speak up. You and your daughter will enjoy TLBSB; there are two of them: Volume 1 – Essays, and Volume 2 – Exams. You should have her check out the video/audio recording where Lambert shows that the basis of his calculation is completely flawed. Then Monckton keeps reiterating it as though the truth does not matter (probably because to him it does not). Yes, that will substitute nicely I think. She came home asking questions because what was being preached at her was not logical in her mind so she started looking for information. Oh, and you can always encourage your children to steal surreptitiously remove the awful offensive books and publications from their respective school libraries, then we’ll have a big gathering for the book burning. Hooray! It will be just like the good old days! they can put all the pro AGW stuff in the comedy section or under great frauds of the world. Yes, if it wasn’t for that pesky bit about how Monckton was totally wrong about climate sensitivity (and of course about how much atmospheric CO2 measures should take into account all the CO2 locked away in rocks, and of course about ice albedo, and of course about rogue waves, and of course….). Ehm, yeah, if you want somebody who sounded convinced of his own arguments (however wrong) and threw about scientific-sounding jargon which he had no understanding of… well, Monckton’s your man. Too bad if you were interested in science or mathematics though, which he repeatedly butchered. Yes, if it wasn’t for that pesky bit about how Lambert was totally wrong about climate sensitivity (and of course about how much atmospheric CO2 measures should take into account all the CO2 locked away in rocks, and of course about ice albedo, and of course about rogue waves, and of course….). Ehm, yeah, if you want somebody who sounded convinced of his own arguments (however wrong) and threw about scientific-sounding jargon which he had no understanding of… well, Lambert’s your man. Too bad if you were interested in science or mathematics though, which he repeatedly butchered. Yes, he crawled out of something rank and slimy a couple of posts ago, under the name of Max Loves Cats. When Speedy said he also loved cats, and offered to share some recipes, Max decided on a name change to what you now see. I personally think the new persona is a bit better. The one he had before was very childish – this one is just stupid. Also the emoticon for his current name makes him look one-eyed; very apropos. Forget the troll – check out Frank’s encyclopedia! Don’t get me wrong though, I love Monckton. He’s doing a great service to us warmists by making the mistruths published by the deniers so completely easy to spot and readily debunkable. Make no mistake, a loose cannon in the fold (and put on a pedestal by deniers) is wonderful news indeed. Scott that was clever – you replaced Monckton with Lambert a few times and continued the “opposites” theme by coming to the “opposite” conclusion of any rational thinking mind about the debate. Sorry, I was disrespectful. Replace any instance of “Monckton” with “Lord Monckton, ‘scientist’, ‘mathematician’, ‘Nobel laureate’, ‘member of the House of Lords’, ‘curer of AIDS’”. That would be much more to your liking I guess (however b___sh__ it might be). Note: All these are claims made BY Monckton, ABOUT Monckton. You’re welcome Scott. Speed is my essence. I’m published and peer-reviewed under my own name. Unfortunately, like so many other scientists, I have been banned from commenting on this site under my own name. If you have a problem with Ms Nova’s extreme prejudice against the truth, take it up with her. I’m published and peer-reviewed under my own name. And so are a lot of other people here. Most qualified scientists can distinguish between proper science and evangelism. Ad hominem assaults are not particularly persuasive and, once you’ve gone down that path, you’ve lost both credibility and the argument. 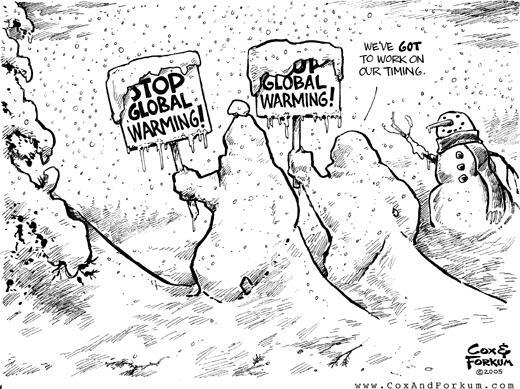 Finally we are starting to uncover who are behind this man-made global warming movement. Start with Margaret Mead and her 1975 conference in the US where this idea was initially discussed. Note that Stephen Schneider was part of that initial cabal. This battle has only started and it will get nastier with time – as Max eats Cats is showing. For those unfamiliar with the players in this game, start by researching Sydney and Beatrice Webb, George Bernard Shaw and the19th century English Fabians. The UK labour party is the Fabian Society, as is the ALP here. They have stated their goal publicly and as LM pointed out last year, before he shone the torch onto the draft Copenhagen treaty, it was then that they finally summoned the courage to come out into the open. Hence the Traffic Light Tendencied bedwetters here will start slandering the realists until they end up being banned. Oddly even John Quiggin has started having problems with his commentators – so it doesn’t really matter which fora they post on, the Mann-made global warmers will slander any one who challenges their belief. Would you point me to your papers please. What game are you watching? I’m starting to sniff a few changes of govt so how is your funding going? Gravy train coming to a stop soon. What’s ad-hom about pointing out the personal gullibility… nay, rampant incredulity and pseudoscientific pandering for personal gain of one of your darlings who is proud to be who she says she is? That’s what Mrs Littler does, and what she supports. @ Baa Humbug, as soon as Ms Nova removes the ban on real scientists contributing to this blog, then I will submit to your request. Until then, let’s consider this a science-free-zone, shall we? @ Matty, my funding is only increasing as ever more of our fellow creatures suffer unexpected contractions in their populations and range. Changes of government won’t solve the problems of premature species diversity and habitat loss. If anything according to your logic, I should be championing CO2 as my pension fund. I’m not. max eats cats says there is a ‘ban on real scientists’ on this blog? I’d call that an unfounded attack, at the very least- unless you have access to the list of those who you claim are banned? You claim to be a peer-reviewed scientist? Then you are not banned, are you? Yes, man-made global warming always was a science free zone – it’s just only now that many of the media are starting to realise it. This blog merely accentuates it. Spare us. Phil Jones has thrown away the script because he wants to keep his job and there will be many more like him. The combi will need a new paint job at least if they want to keep the money coming in. I wish you all the best with saving our fauna – from whatever. Start with Margaret Mead and her 1975 conference in the US where this idea was initially discussed. Note that Stephen Schneider was part of that initial cabal. Interesting that you mention Stephen Schneider. In 1997 he appeared in an episode of a nature series, called “The Coming Ice Age”. The episode itself can be found here. Remember, his concern at this time was all about global cooling. Dr Schneider is interesting. As you point out, he has been concerned with climate change from the start. He is always present at conferences, and in the background when any of the Hockey Team were gathered en masse. He leaves it to Michael Mann and Phil Jones to take the lead (and any lead that is fired at them), but I suspect that he is one of, if not the, puppet master. It’s as clear as night follows day that the whole business of monitoring and reporting temperatures has to be investigated, clarified, verified and if necessary scrapped and replaced with a totally different approach. Anyone who disagrees is either too stupid to see it or has a corrupted mind. Either way they are afraid of the truth. Referring back to that ‘Actual Scandinavian data’ graph I see a wide range of temperatures. 1935 to 1941 appears to have a decline of 2.5ºC. While troll jeering is fun I’d prefer to learn more about exactly what causes such wide ranging readings. The IPCC claims to be worried by +2ºC a century yet we regularly see this flip-flopping of temperatures over short time-scales. By focusing on CO2 do we miss the point of climate? What really makes climate tick with such a radical pendulum? If we found a rational and provable mechanism for climate we’d no longer need to try and “undo CO2″. It’s easy to make such assertions from safety of anonymity. Given that you haven’t produced anything more than ad hominem attacks and unsupported assertions under either moniker in a tone and language that sounds more like a frustrated teenager, I’m not inclined to believe you. I rather suspect that except for lil’ol MattB, pert near everyone else would concur. The IPCC claims to be worried by +2ºC a century yet we regularly see this flip-flopping of temperatures over short time-scales. To date the observed rate of increase is not +2ºC/C. Based on observation, IPCC projections seem nothing more than fantasy. By focusing on CO2 do we miss the point of climate? Probably, since climate has changed sometimes drastically in relatively short geological timescales throught the planet’s history. What really makes climate tick with such a radical pendulum? Unsupported personal view is that it’s a mistake to focus on any single thing. At the present time, reading the more nuanced language of reports referenced in AR4 WG1, it doesn’t look there’s much certainty at all. We really don’t need to try and “undo CO2″. The burden of proof is on the Warmistas to proved their hypothesis. To date, not done. Yes, the kicker for any hypothesis is the falsifiability part. On geolocial/climate scales, that’s a tall order. One thing we do know, it hasn’t been demonstrated that current climate observations, haven’t happened at some time in the past. Wow, Cat Max, you GOOGLED me! That’s so funny… don’t you have better things to do? Hey, I’m almost flattered! And it’s Herbalife, not AMWAY. Let’s see: You make stuff up and jump to conclusions … Hmmmmm. No surprises there! Disgusting!!! You lot are a disgrace! I dunno, are the little ‘icons’ we each have compgen? If so, the computer is AI genius. Max Eats Cats looks sooo like a troll, doesn’t he? Having said that, mine makes me look one eyed and confused, so that’s all right then. Actually, Max Eats Cats reminds me of Banned Gleibitz. Dunno why..
Hey bro. All safe and well there I trust. <blockquote@ Baa Humbug, as soon as Ms Nova removes the ban on real scientists contributing to this blog, then I will submit to your request. Until then, let’s consider this a science-free-zone, shall we? Gee, puss, that’s a well reasoned argument. As we post here largely anon, there could be a couple of Nobel Laureates and no-one would know. Oh, wait! Don’t tell me! You’re one of them, aren’t you. No, really, you can tell me. please? I’m sure we would all like to bask in your greatness. Previous comment was to Anne Kitty-Litter not Jaytee. What, so you’re a censor now, as well as your other accomplishments? Sigh, where do you find the time? Baa Humbug, That link is broken! Please fix it, ‘cos I’m so amaazingly in awe of Max Eats Cats, Oi can’t tell you, and I have to se it…..
Yep. That about says it all. Nice one, BH. If Max Eats weren’t so funny I’d say Ban her/him. If this is really someone with ANY published peer reviewed paper, I have to gag. What kind of scientific world has peers like this???? Upon first thought: BAN IT Max has NO redeeming value. It’s easy to replace the wee little face. You don’t need to put your own up, any pic will do. You just have to get registered at WordPress. It then will install your favorite “Gravatar” as they call it on any site that has that feature enabled. Yup! Of course my standard for a good day is any day when I don’t get shot or blown up. How’s the cane toad golf coming? I forgot to ask, how do you score that? “How’s the cane toad golf coming? I forgot to ask, how do you score that”? First distance. Bonus points if it does backward sommersaults with arms and legs wide apart like a cart wheel. You gotto visualise it. p.s. To those who think this is cruel, it’s actually instant death, no pain (unless you miss hit) They are poisonous and dangerous to dogs etc not to mention other frogs and toads they eat and crowd out. Dangerous pests essentially. Oh look, one of our resident trolls is “thumbing down” the most innocuous comments. What a gutless coward! Ahh they are dangerous pests… so having sadistic fun with a golf club is ok then. righto. So what method of eradication would settle your little squeamish tummy? Ah yes, I noticed that “Icky” has returned from a long sleep. Still using outdated references though. well looking at the historical record JL I’d suggest that species come and go as they please and I’d just let them reach a natural balance with wherever they are. I do believe, however, that suffocation via CO2 is the preferred mode of pain-free eradication. Peter Sawyer is spot on. It’s global warming. But more than that, we need to realize that it’s a political disease, not a matter of science alone. I have long maintained that the fight was political. We need to get on with the fight against political global warming. Yes so be careful not to become a dangerous pest. For the record: the definition for sadistic is “excessive cruelty” since you have already been informed that the clubbing is particularly quick and efficient (i.e. painless), it could not be sadistic. ‘scept cane toads are NOT part of Australia’s natural balance and in fact are causing several native species to become endangered. The Aussie cane toad problem is the result of “bioengineering” with second and third order effects not considered/adequately studied. They aren’t as big a problem in the US because we still have their natural predators, but since being introduced in Florida they’re starting to become more of a nuisance particularly in suburbs where their natural enemies aren’t. Suppose suffocation would be a technique after someone caught the damn things. Seems like an awful waste of time and extra effort for a homeowner. I don’t normally keep tanks of CO2 lying around to suffocate varmints. I kill varmints with whatever I have available at the time. Oooh. Sorry about that. I slip out for a few minutes and the delusional pop in. I’ve cleaned things up. I don’t think Max will be adding communication pollution for a while. Lots of these commenters who can’t say a sentence without an ad hom or an insult seem to have popped up since I blogged about Pitman and Deltoid, and quite a few have emails from the same “university”. It must be tough eh? Dweeby guy thinks he’s learnt to enjoy playing mental ping-pong out there (but only in the closet-with-Big-Scare-friends), then some former object-of-mockery canes his hero savagely, and all the testosterone induced puffery of the thrill of a fake “win” against an opponent he never met disappears. Did you know male testosterone levels actually fall when they lose a contest, even as a spectator? Could it be, trolls can’t win at footy? I have noticed something interesting. Nearly every time you put up a new topic, the “delusional” work to capitalize the conversation. Then, with the possible exception of MattB, after a 100 comments or so, they appeaar to lose interest. This suggest that they think there are masses of silent readers who read only the early comments in any thread and will thereby be converted by “communication pollution” (I prefer to call it verbal graffiti but pollution will do). Painted graffiti seems to work with the gangs of physical thugs, so perhaps verbal graffiti will work with a gang of intellectual thugs. On the flight line at RAF Changi, in Singapore (before it became the international airport), the techs used to squirt them with liquid oxygen (LOX). For added fun, you can hit them with a hammer – they shatter, leaving a nasty smell for days. I just thought I would share that with y’all. Please, no jokes or cracks about harming or killing animals. Thanks. — Ed. You’re a scientist, eh? Let me guess, Professor Vinckman from Ghostbusters? Gives strong support to my intellectual thug using verbal graffiti to overpower the conversation hypothesis. That a thug of any kind takes and destroys value by force and deceit is his defining attribute. First, there is no free taxpayer money for these leeches to steal and squander. Second, they are desperate and they know they are losing. If I were to speculate, this is happening to intentionally cause Google (and other) searches to pull up these forums and have them appear to a newcomer as wacko. Frankly, with some success I am sure. May I suggest that we don’t make it easy for them? IGNORE IGNORE IGNORE! What I see happening is people being drawn away from discussion of the topic in hand to irrelevancies. It would be good to sideline anything that is “Off Topic”, even move it to another space. It is apparent that the alarmists are now starting to run scared. Their cherished beliefs are being undermined by revelations that the high priests have lied to them. Some of these people may have even bought indulgences and are realising now that since the sin and evil they once imagined does not occur they have wasted their money. It seems that evidence of warming is getting harder to find. That dip in the 1960s is a huge embarrassment for team AGW and it seems it is not localised. Second, they are desperate and they know they are losing. There you have your finger on the problem! They are desperate! As for ignore, yes but only after putting them in their place. Whack ‘em on the head first and then ignore them. It’s the ultimate insult. I’m not sure just who is pulling the strings in this agenda but it does go back a long time, even further back than Mead’s 1975 conference. I base my opinion on personal experience with the political left and it was the time when Keating introduced Native Title into Australia, that focussed my attention. Then I averred that Native Title was more about diminishing the concept of private property, than anything else. My very lefty friends were speechless, and for those who don’t understand how the left think, speechlessness is a tacit agreement that one is correct. (Based on the idea that if you don’t think about something, then it cannot exist). David and Jo lean to the money angle in all this, and yes, I tend to agree, but is it purely for the money, or is the money being used for another agenda. It’s the activities of the Ted Turners, George Soros’ and Maurice Strongs of this world, billionaire socialists, who use money to fund their progressive agenda that is probably one of the driving forces behind the AGW movement. But watching the Monckton-Lambert summation session of their debate last night left me with the distinct impression that Tim Lambert actually believes in AGW, although I spotted an interesting opening in his, albeit confusing, idea that climate sensitivity has to be higher for ice ages to occur, and is something I need to track down, (Assuming it was one of Lambert’s main debating points. If so Lambert has erred since no one understands what causes ice ages). There is no doubt in my mind that the AGW advocates are passionate true believers, but the fundamental difference between the Climate Realists and the Man-made global warmers, is that the whole idea of AGW was never observed but believed to happen in the future, if we don’t mend our ways etc. Crucially this mindset, that of the progressive intellectual, is a world view that is not restricted by the need for physical experimental verification of their ideas. These intellectuals are deemed successful in their intellectual endeavours when they obtain the agreement and support of their peers which is unlike an engineer who is deemed successful if and only if the bridge he just constructed, does not collapse. So Climate Realists seek external verification of the AGW theory while the Man-made Global warmers assume internal verification from a peer review to validate their position. (Peer review is essentially to stop plagiarism, but can and does result in the censoring of discordant ideas). The problem with the progressive intellectual mindset that is deemed “intellectually successful” when its authors gain peer approbation is that this measure of success is not based on an external physical verification of an idea, but on the result of a consensus of the peers, and it is this intellectual demand for proof, rather than the external, objective physical proof that separates the man-made global warmers from the Climate Realists. This dichotomy of thought is new – it’s always been with us ever since the times of Plato and Aristotle. (The dangerous aspect of the progressive intellectual world view is that because it is essentially disconnected from physical reality, its proponents tend not to concern themselves with the actual physical consequence of their ideas or beliefs – hence the unintended consequences of the BioFuel policy – convert farm land to produce Biofuels but inadvertently reduce food supplies and hence starvation elsewhere. When your whole world view is restricted to the imaginary world of the intellect, such boring matters are of little concern). Mead and her fellow academics operate in the intellectual sphere – the things they produce are ideas, and they are deemed successful if they can convince their peers of the superiority of those ideas. Note that none of these ideas need to be verified externally in the real physical world. Our problem is that these ideologues control most of the Western governments, and control all of the bureaucracies, (Tim Blair has picked up on the inanities of the OS&H regulations in the UK today), and while we might see hope in the fact that the scientific basis of AGW is collapsing, it is but a skirmish with the real battle still to be fought in the realm of ideology – state control of our lives, or not. This is the real issue. AGW is a product of this progressive intellectual mindset, and it is this mindset we have to counter, not the science per se. Louis, I suggest that in the case of biofuel, the effects of reducing food supplies was INTENDED. Less people is what they want killing two birds (so to speak). This “intellectual class” culture is an interesting subject. AGU FALL MEETING; Solar magnetic radiance field and radiance…. - but whence come all the ninny’s who WANT that? “By focusing on CO2 do we miss the point of climate? What really makes climate tick with such a radical pendulum? Ahah moving in the direction. The standard model is based on a nuclear powered sun radiating energy and a thermally inert ball of rock which is irradiated by that sun. This is the physical basis of how climate is approached at present. It also assumes that the solar system has maintained its existing configuration, without change, for 4,500 million years. Science is supposed to explain observations by using previously confirmed physical processes and nuclear fusion remains an unproven process and hence cannot be used to explain the sun’s energy source. Radioactive decay always diminishes over time, so it cannot, by definition, produce surges in energy over time. Science forbids invoking novel solutions for an observation unless the known physical processes fail to adequately explain the observation. So, if the sun is not nuclear powered and the earth’s internal temperature cannot be explained by radioactivity, then what other source of energy is available to us? (I stress energy because temperature is a measure of the physical state of matter is at). We do measure magnetic fields on the sun, and we do know that the earth has a magnetic field. We also know from satellite measurements of the existence of prodigious electric currents flowing into and out of the earth’s polar regions, (peer reviewed papers can be supplied), that occasionally produce the polar auroras when the current densities increases. These solar system sized electric currents have now been measured by the THEMIS mission satellites, and generically called “Magnetic Flux Tubes”, because they are picked up by the THEMIS magnetometers as twisting magnetic ropes. Actually these Magnetic Flux Tubes are Birkeland currents which connect the earth to the sun, and to all the other planets in our solar system. So, we have measured the radiation coming in and out of the earth system and notice that it’s not enough to explain the measured temperature. This is a fact which is not disputed. Ignoring the source of energy associated with the electric plasma in which the solar system is part of, then all we seem to do is to focus on the behaviour of an atmospheric trace gas, CO2, to explain the observed temperature anomaly. All matter is comprised of electrically charged particles, The visible universe is comprised of 99.9% matter in the plasma state. Electric forces are 10^39 larger in magnitude than gravitational ones, and this source of energy is irrelevant to understanding the earth’s climate? May I point to the Elephant in the kitchen masquerading as electricity? The polar electric currents, being a flow of ions, passes through matter, the earth. For those of you who don’t realise it, electric currents passing through matter add energy to the system, thus causing it to rise in temperature. Variations in the charge density of these currents then results in fluctuations in the energy state of the earth, and hence its temperature. Time to repeat the parable of the three blind men and the elephant. The first one, on holding the elephant’s trunk announces to his companions that the object they stumbled on must be a large snake! Not so the second cries, holding onto the elephant’s leg – it is a tree!. No No, you are both wrong said the third, holding the elephant’s tail, for it is truly a lion!. When your science is restricted to the imaginal world of the intellect, disconnected from physical reality in which elephants and lighting are ubiquitous, and you believe that all life’s travails are human caused, then it is so easy to imagine that it’s CO2. But those of us who have to clean up the pachyderm pooh have a different approach to life’s problems, and it’s our contention, based on physical experience and observations, that the thermal anomaly has something to do with the electrical system the earth is part of, rather than from the IR radiation of an atmospheric trace gas. Of course if you never learnt to ride and elephant, you then can’t be expected to make use of it, can you. I like you post at 84, which places the responsibility this AGW mania at the feet of a relativistic “intellectual” class – which somehow flies in the face of nearly 2500 years of the greco-christian philosophy which has built western society. What legacy do you think these relativists are proposing for society? A 1000 year reich? On post 89, I wasn’t sure about the sun’s irradience dropping over time – it has to I suppose, it not being infinite, but as a fusion (as opposed to fission) reactor, the output is not governed by the exponential decay function that we see with fissile materials. An interesting concept anyway – thanks. Brian, there are a lot of people in this world who do not want to take responsibility for their own lives. They would rather complain than do something constructive about improving their lot. I’ve often thought Feudalism is the natural desired state of much of humanity. This seems to explain a lot of what we see. Louis, #84 – I couldn’t agree more. Speaking of “the progressive intellectual world view [which] is essentially disconnected from physical reality”, and in reference to my post #4 – what’s happened to Clive Hamilton? Haven’t seen his chrome dome in the media since he failed his foray into politics … Anybody come across his pearls of wisdom lately? Totally agree if fact it is still occurring today in the form of so called “green wedges”. Private land in suburbia quarantined from use, at a time when the state government is expanding suburbs out at the fringes, all without infrastructure. Private property in spitting distance of the city that has access to established infrastructure that cannot be used for anything except agisting horses. While federal land all around it is allowed to be developed. Can you imagine the out cry if you told those same officials that made these decisions, that when they next sell their property they can only keep 50% of its value, as their property is now considered a green wedge property. I think it is about power and money is the way to power, the obscuring of old and proven warm pereods that I was taught about in school offends me, already a large steel works in Wales has closed down because of carbon taxing and by an unbelievable coincidence a similar one pops up new and shiny in India, with the added attraction of a fist full of carbon credits each year. This has taken employment from the UK and sent it to India, this is becoming an epidemic, as intended. JL if you look at the geologic record it is clear that every species is a non-native that upset the balance at some stage, either via migration or evolution… therefore cane toads are not a problem as species have moved about before and the earth is fine.I think you are getting your knickers in a twist about a natural process. My understanding is that the Cane toads were introduced to Australia. The only thing truly natural about cane toads over here is the sound they make when they encounter a 9 Iron. The decay rate is specific to the Earth, not the sun. But you cannot invoke a fusion reaction as a valid source of energy because no none has actually demonstrated that it works. It does work in the imaginal world of course, but to date physical reality has put the kybosh on it. The sun is powered externally and is most likely a Z-Pinch effect in plasma. This explains its unusual temperature profile that initially starts at 5000K at the photosphere (its lower in the sunspots as well), decreases to 500km away, then sharply increases to millions of Kelvin at the chromosphere. This is much like proposing that as you move away from a source of heat that it gets hotter. The earth as a similar temperature profile but in its case we know the energy source is external. Well, so is the sun’s. Now litterally drowning in energy, and no one has made the conceptual jump in at least thinking about how to tap into this energy on the earth’s surface? … nuclear fusion remains an unproven process and hence cannot be used to explain the sun’s energy source. Unproven? Where did you get that idea? The existence of thermonuclear weapons that were thoroughly tested some 60 years ago would seem to contradict that. Also, theories about stellar nucleosynthesis do a pretty good job of matching up with observed nuclide abundance in the Universe. I’d say the process is pretty well understood and verified. Perhaps you’re referring to our continued inability to produce nuclear fusion under “controlled” and “confined” conditions in the laboratory for energy production? There is, however, a connection with global warming issues in the following sense. The development of controlled nuclear fusion in the laboratory is plagued by various difficulties in properly simulating or modeling hot plasmas (both magnetically and inertially confined). Proper design still eludes researchers who have been trying for almost 60 years. Arguably, climate modeling is even more complex so why would we expect climate change models to be at all reliable? The only thing that amazes me about trolls is not that they exist, because there are plenty of malcontents in the world… no, it is that there are always people that fall for their flamebait. In this thread the troll wins because virttually none of the discussion is on thread. 1) Ignore them in the hope that they will quickly tire of the game. 2) Allow ranking of posts by Like/Dislike feedback, so that the troll waste drops to the bottom and out of sight. This system could be abused, of course,to visually censor opposing but logical arguments. The first option should be sufficient in most cases IMO… though there may be other options I have not considered. Remember that genuine trolls feed off your anger… no point fanning the flames. Madjack, how can introducing a species that in total, by mass, only makes up a tiny percentage of the total mass of the animal kingdom in Australia possible have an impact on biodiversity? David and Jo lean to the money angle in all this, and yes, I tend to agree, but is it purely for the money, or is the money being used for another agenda. I have long thought that we are dealing with multiple layers in this saga – Carbon Trading (the money) is but a dream within a dream (with apologies to Poe), it is a carrot to attract the focus of cynical investors who would otherwise not be interested. Climate Change (the science) is the justification for Carbon Trading, but it also appeals to the environmentalists. Combining the two, and talking in terms of, “the developed nations repaying a ‘carbon debt’, owed to the developing nations” resonates with socialists and Marxists, who would like to see a single world government (with themselves at the helm, of course). Then there is the question of population dynamics, and the Fabian philosophy, which I have yet to fit into the picture to my satisfaction. It is starting to look like a set of Russian dolls. So I don’t believe that the money is the central issue, although it is an important catalyst. Natural forces could have caused some of the recent warming, but I’m 100% confident that the warming was due to carbon dioxide, even though I’ll admit that the natural forces thing is a bit outside my area of expertise. See Chapter Nine of AR4 for evidence. He therefore admits that he doesn’t have a clue about solar influences, magnetic variation, cosmic radiation, etc. He is the typical expert – he knows a great deal about very little. His statement implies that he cannot really comprehend how his “field” intersects with other fields to create unintended consequences. And I suspect that he has the ability to totally divorce his role in the science, from any political, social, or anthropological implications. Those latter ‘disciplines’ are the responsibility of the bureaucrats in the UNEP. And this is where the errors sneak in. We have individual scientists toiling away making their piece of the picture. And we have some bureaucrat somewhere, with a totally different (and probably secret) agenda who puts those pieces together to build the big picture of doom and gloom (and we are all going to die by next Wednesday week). Except that the individual pieces don’t fit together very well, giving the sceptics an opportunity to pick away at the edges, and occasionally find pieces that are flawed. But given a wider view, that doesn’t matter because the individual pieces are not important. They have served their purpose in creating an impression that something needs to be done urgently to save the world. Is all this a conspiracy theory? Well, no, not in the spirit of Niccolò Machiavelli, who is still a good source for understanding the political mind. We are starting to gather considerable facts that show that the hypotheses of the “greenhouse effect” and therefore “global warming” are unfounded. The mainstream media is starting to pick up on the story. Scientists are starting to break ranks. We have people writing letters to the editor. So why is it that the vast majority of senior politicians in the world are still proceeding with this farce? Can it be that all of their Policy Units are totally ineffective? Are politicians so surrounded by sycophants that nobody will tell them what is now being published in the papers? I doubt it. There has to be another explanation. Any ideas? Matt if you look at the geologic record it is clear that climate change has upset the balance at some stage, probably due to solar activity. Therefore climate change is not a problem as it has changed before and the earth is fine. I think you are getting your knickers in a twist about a natural process. Dang, I support Collingwood in the Australian Football League. We haven’t won a premiership in 20 years. Impressed with your very astute “most likely case scenario” appraisal, makes sense at this end. Partly orchestrated, partly evolutionary, partly opportunistic…ah, but which came first is the poser? Example – maybe Jonesy is positioning himself (and his unit, more to the point) in relation to any future inquiries. Further spilling of the beans on an “as and when required” basis – can I give you the analogy of a Tactical Retreat? Humbug – that WAS my point in #103. duh. Perhaps we could call them Consensus Cultists? Well worth the time to read the whole essay (7 parts). Someone at the Perth lecture asked Lord Monckton a question whether he thought the global warming scare campaign is the work of a conspiracy. He answered “Not so much a conspiracy, more a coalescence of interests.” Great turn of phrase and I think it fits in perfectly with what Yates says in his essay. Seems we are indeed on the right track with this – there is no general conspiracy in the traditional sense – though fitting the Fabians into this is a little easier than one suspects, and they are one of many with similar world views, all of which, by the way, have humanity’s interests at heart. It’s basically the Platonists and groupthink consensus versus the Tragicians/Aristoellians and their approach to life via the belief in objective reality(People who do not believe in reality should then not sit on railway tracks). And this raises the conundrum that in one viewpoint can’t exist in the absence of the other. As opposed to what, MattB….. The State’s? Think before you blather nonsense. Louis in #108. Could one argue that in the history of civilisation the support for the two ways of thinking is fairly cyclical, and that civilisation has survived these cycles perfectly well, so why are you and others who share your thoughts quite so alarmist about the current state of affairs? That was??? Oh! So you believe climate change is NOT a problem? “That bold vision, clearly, that hit a brick wall at Copenhagen,” said Dieter Helm, a professor of energy policy at the University of Oxford who argues that taxing carbon is a more effective way of ensuring emissions cuts. People will go on trading carbon, he said, “but it’s not where the future lies.” ..
Worldwide, carbon trading markets were worth $125 billion in 2009, Mr. Turner said. In Europe, which accounts for 70 percent to 80 percent of the total, the market is likely to contract this year, he added. .. In Europe, Dr. Helm said, policy makers should set a floor for the carbon price, to keep it stable and high enough to push big emitters to make cuts. My interpretation: “We will have a free market which is freely manipulated by us. Don’t worry, we won’t be dishonest, promise”…. Now that’s a market designed by some hippies, for sure. I am alarmed because the people who think like that have been responsible for at least 150 millions human deaths as a result of policy during the last century. Matt, you actually looked at the geological record? Wow! Unfortunately the IPCC, the authority you so often appeal to, disagrees with you. They say that species are going to go extinct because of climate change. Yet, you say we shouldn’t get our knickers in a twist over a natural process. If man’s introduction of the cane toad is, as you say, no big deal (every species is a non native species) then how do you account for the IPCC’s concerns that man will cause extinctions if, as the IPCC believes, man is causing climate change? Are you Matt, I believe its because the scientists say its true, daring to disagree with the IPCC? See: http://www.ipcc.ch/ipccreports/tar/wg2/index.php?idp=218 BTW, they have a website called google.com, you should try it sometime. it took me all of ten seconds to find the IPCC link I provided to you. If you provide links to sources to verify what you say people may actually get a little respect for you. I was thinking of you today when I saw a commercial for the movie “The Gambler” with Kenny Rogers. Hope all is well. The most amazing thing these days is that we are becoming so blaise about the fact that the IPCC has been caught (YET AGAIN! )with its metaphorical thumb on the scales (this time evidence of dodgying up the entire Scandinavian climate data) and no-one seems to care! It’s almost as though we always knew and accepted that this is what the IPCC does. Why aren’t these clowns being sent packing and forced into productive and servile employment somewhere? Anybody see why this should not be the case or is it just me? Thank you for the reference – I was not aware of Steven Yates’ opinion. As I said before, I don’t see this as a conspiracy, but as George [#105] elegantly points out, it is something, “Partly orchestrated, partly evolutionary, partly opportunistic”. In other words there are anthropogenic influences that “oils the wheels of world affairs, and makes adjustments as required”. That role used to be performed by the Royal dynasties, with their networks of intermarriage. But since they are no more, something else must have evolved to fill that particular niche. The real questions in my mind stem from how the whole climate change hype feels “wrong” on all sorts of levels. I cannot see how anybody could possibly gain a long-term benefit from it. Your moniker mightbe the clue. Ever tried doing a panic U-turn on a supertanker? Patience – this lot have been developing this thing since 1975 and you expect instant results? We are destroying their paradigm, and that is one big difference. Usually paradigms change when the old guard die out and the new comes in. Well, right now the old are not dieing out – they are marshalling their forces to make another assault on us once our guard is down. It’s an age old political trick initially developed by the Romand General who defeated Hannibal of Carthage millennia ago. His successors now run government. Oh dear. Don’t worry MrB, maybe your sense of humour is too subtle for some. Mr Aruda are you by any chance from the US of A? You made mention of the teaching module so I checked the section ‘The science of climate change’. 355,000 parts per billion (or it should read 355 parts per million). The interesting part is the figure for water vapour is given as only 3000 – 6000 parts per billion (or 3-6 parts per million). This suggests that water vapour is an insignificant GHG up to 100 000 times less than CO2. What a load of codswallop – if that was the case there would be no rain at all with less than 5% humidity. Water vapour is by far the most dominant GHG being around 90% of all GHGs. In the part that says ‘Relative contribution to human-induced greenhouse effect’ CO2 is given as 60%. Other GHG are given as making up the other 40%. Water vapour is shown as ‘not known’. Point this out to your children. G’day m8! (Hat tip to BAA humbug.) It is closing in on 8:30 PM here in California. These “gates” are just staring to get the attention of the MSM here in the U.S. The N.Y. Times, alias the grey lady ( a prostitute who should retire?) prophesied a few years back that the blogs wouldn’t exist if it weren’t for them. Now, they are lagging the blogs and also taking their lead from them. How the wheel has turned! The U.K. papers are all over these gate stories. I hope the NYT has a chance to report in depth on the various gates and scandals before they go bankrupt. They received a loan from Carlos Slim Helu and that kept them afloat but I will be surprised if they are in business, with the possible exception of their website, when the year ends. Fox News is covering the story in greater detail with each and every passing day. The liberals hate Fox News. Fox News has more viewers than MSN, MSNBC and CNN combined. They have a bigger audience than NBC nightly news. The longer the MSM waits, the better it is for the blogosphere.The latest opinion polls indicate that the public’s belief in Global Warming is waning. Any politician who supports cap and trade will probably be unemployed after his or her next election. Be patient, my friend, victory is in our grasps! i am a citizen of both the USA and Canada. I reside in Santa Rosa, California. Please, my friends call me Eddy so call me Eddy. Mr. Aruda died several years ago.I miss my Dad. It is not about the long-term, short to medium-term opportunistic predation (for all sorts of reasons) will do juuust fine. Said person not given to conspiracy theories, I add, just an astute world observer with life experience. Peter’s article is about the terminology that is used in the debate and that we should not be using the terminology as define by the other side eg. The debate is about Catastrophic Man Made Global Warming and not about Climate Change so the term Climate Change should not be used in any discussion tghat we have. Your total willful ignorance and making statements without checking your facts never ceases to amaze. Cane toads (Bufo marinus) were introduced by humans, on purpose in an attempt to control cane beatles that were ravaging the sugar cane crop. Between 1936 and 1937 over 62,000 were released into the wild. As the toad is terrestrial, it could not have spread beyond its native Central and South American range without assistance. And indeed, in every instance of the toad’s spread it has been by deliberate human transport with intent to transplant for the purpose of controlling other pests. There’s nothing natural about their spread. Bufotoxin is fatal to most species including humans if injested or injected in the blood. South American Indians often use bufotoxin on arrow points for hunting. Bufotenin a hallucinagenic that produces hallucinations lasting up to an hour. If your kids handled a cane toad and then put their hands in their mouths, they likely get very sick and possibly die. It isn’t a joke or exaggeration. Not that you ever actually understand any reference you read given your normally inane comments, but here’s the Wikipedia link on cane toads. As a general rule, I don’t use Wikipedia, but at least it’s written in language that perhaps you can even comprehend. Ian @ 122, well spotted! I didn’t have time to check the whole site but may well now go back and do that bit by bit. Just so people don’t have to scroll up and down, the website we are referring to was http://www.teachingclimatechange.com.au. Cameron H: Glad you spotted it too! See my post #4 above. The teaching website was quoted inside that article. In North America it seems our species that prey on the toads have a natural immunity to the bufotoxins and therefore are able to keep the toads in check. Australian predator species that might have helped do not have that immunity and that’s what has contributed both the cane toad’s rapid spread and the endangerment of several Australian species. Yes, another totally uniformed ignorant comment by MattB, who hasn’t even bothered to research the subject. Right here Matt, Cane Toads, in language even you can understand. Steady there J, afterall, we are talking Matt here. Please, no more Matt gambling references, okay? Matt did not make a monetary bet; he simply used the phrase “I bet . . .” that was later misconstrued and mispresented as a monetary bet. Thanks. — Ed. Thanks for clarifying that the bet was one of honor. Normally, people bet one dollar in these situations. when I saw your offer to “split some of the cash” with Baa Humbug I thought there was money involved. glad you made that clear at # 80. The original post made no monetary bet. — Ed. To answer the topical question. In the world of the warmists, real temperatures do not matter. Everything must be “homogenized” to show the optimum temperature for continual research, money and control over the idiots who cannot understand simple physics. Except the analogy is utterly false, but apart from that I suppose it’s a cute ploy. Obviously, you have been keeping your head low over there as you are still six feet up instead of six feet under. I’ve seen on the news that they our forces are having some difficulties with snipers and booby traps. I will be glad when the war is over and the terrorists are disposed of. I always enjoy reading your posts. BTW, I am glad I’m on your side! I’ve never seen him so cute I don’t know. I’ve got to believe that the entire team Mattb are laughing their asses of at that analogy. Mattb is possibly brighter (even if misguided) than a casual glance would note. On a completely separate subject; Mr. Krueger, on behalf of my family and me in the USA, I sincerely thank you for your service! The skeptics are winning the debate, not because of data, but because the lack of credible data on the side of the warmists. We always only wanted to look at the data and point out it’s flaws. Now, even the warmists, are admitting that their data was manipulated and skewed for political and funding purposes. A true scientist will make all of his data avaialble and the methods used to gatner it. Surely, IPCC and CRU did not do that. Therefore, they are not true scientists but frauds and political hacks. It is only now, under pressure from the skeptics with evidence in hand, that the AGW advocates admit their scheme. This is a sad time for “scientists” but a great day for freedom and a free press. Now you know! I’ve got a murder of crows around my property here in Brisbane. You should see these smart feathered friends turn over a dead canetoad and pick at it’s belly. Urban legend here says crows learn from each other. I’ve also seen a green tree snakes slither right past a canetoad and not touch it. I slipped coming out of the shower at 04:30 this morning. Broke three ribs beneath my right shoulder blade. Really knocked the wind out of me and I was dizzy from the impact for about 20 minutes. It looks like I took a sabre cut there, but the purple is rapidly spreading. Muscle spasms are the big problem right now. As there isn’t much that can be done with broken ribs, they’re having me just sit tight. Anyway, we were expecting the snipers and booby traps. We deliberately telegraphed this offensive for about six weeks in order to coax more civilians to move out of the area. Too many have remained, hence some recent civilian casualties. What’s really slowing us down are the precautions to avoid civilian casualties. But the troops are great and they understand the necessity in spite of it being frustrating. I am sorry to read that you have been injured. I will keep you in my prayers. I note with interest the (not unexpected) statement “Coral bleaching…is typically associated with warming waters”. A variation on the Phil Jones “only just” theme? Broke three ribs beneath my right shoulder blade. Wow! Has anybody seen this? http://www.theregister.co.uk/2010/02/15/hatton_on_hurricanes/ Now, its hurricane gate. I think it would be simpler to list what was right in the IPCC literature rather than what was wrong. To facilitate this process, I am listing every claim made by the IPCC that is proven and reliable as well as based on peer reviewed literature and empirical data. atmospheric chemistry, and policy makers in governments and industry worldwide. JL you are familiar with us Aussies. There is only one thing to do when your mate breaks ribs…tell him lots of funny jokes. Ha ha! I really did chuckle. Black humor is another commonality between us. Must be because our countries were settled by outcasts and criminals! We frequently have to ‘splain things to our French, German and Dutch officers for them to get the jokes. Maybe it’s prevalence in our culture is an English-speaking phenomenon…except the Afghans I work with always get the black humor. Interesting. After reading the quote you posted I was thinking of a quote from General George Armstrong Custer, When surrounded by the Indians (native Americans) he said, “We’re F_cked! I am sure he would say the same thing if he saw your quote at 145! That would be a fourth. Thanks guys! My Afghan housekeepers are keeping full of chai (tea). Probably good because I’d otherwise not drink. However, the result is more trips to the loo! They brought me some lunch a little bit ago too. Yes, we employ Afghans to keep house among other things. The Coalition probably employs at least 100,000 Afghan civilians, including armed thugs, er security guys. Definitely OT, but Afghans are among the most polite, generous, caring and supportive people you’d ever want to meet! Big contrast to the image of the mujahedeen or Taliban fighter. Seems to me that a life of hardship either makes you the biggest a-hole or more empathetic of your fellow human beings. Most Afghans I’ve met over the last two years here are in the former group. I think the IPCC is looking more and more like the research division of KONTROL. I take your point. But 35-45 years in the making for “short to medium-term opportunistic predation”, seems like a lot of effort to me. I was just having some “cay” myself. But mine is in a coffee cup, not the nice glass “fincan” you get yours in. … this is not, and never was, a scientific debate over “climate change”, or even “man-made global warming”. It is an ideological war about global social engineering. Peter Sawyer is absolutely correct! I am chastened. This sort of thing is supposed to be in my area of expertise, and I missed it – too busy trying to focus on the money, politics, and propaganda to see the underlying social engineering – my bad. The advice is very sound – to save you scrolling back if you haven’t already read it, the link is repeated here. From this point on I am a Realist who does not subscribe to the myth of Catastrophic Man-Made Global Warming. RE: Anne-Kit #92 – what’s happened to Clive Hamilton? I wouldn’t stop there. They have that many AWOL’s at the moment it’s a joke. They are desserting the stage everywhere you look. Seems they were a lot more keen to take the free kicks than they are to actually win the ball. The game is getting hotter and they are all laying a bit lower. Flannery, Gore, etc, Missing in action. Flannery, Gore, etc, Missing in action. Maybe they’re busy getting their chops busted by some of the important ones? JLKrueger – Thanks for what you guys are doing over their in Afghanistan, by the way. Any day you can walk away from is a good day. What should be done with the gaters? When Bjorn Lomborg published his “The Skeptical Enviromentalist” the warmists tried to destroy the man and nearly succeeded. The charge was led by John Holdren who is now President Obama’s science advisor. Holdren still regards Bjorn as a very dangerous person. Holdren was given ample space in Scientific American to trash Lomborg and this “prestigious journal” would not permit rebuttal. Afterall, one cannot permit blasphemy against the new religion and those with the temerity to resist must be taken out by any means. I hear no outcry from the MSM following the revelations over the past few months of the abject corruption of science and the Stalinist politics undertaken by the warmists. What they did to Lomborg and others is utterly appalling and yet we hear nothing when widespread and real fraud is discovered. You can read all the gory detail about the Danish Inquisition against Lomborg here and a quick summary here (specifically, note item 6). These are the kinds of people we’re up against and they are in power. It will take intense and sustained effort to dislodge them and reverse the damage they have caused already. It’s way too early to do a victory lap. Very funny – but I reckon Gore would be well insulated from the freeze in his centrally heated mansion with heated pool, heated jet, heated house boat, and there’s always San Diego. In reality, they know the questioning gets a bit more pointy from here on. It’s like the bullfighter who won’t come out and the believers I speak to have noticed the leadership vacuum. I think they are trying to ride it out but it’s wishful. I live south of you and I have NO cane toads. Someone doesn’t like them around here and they don’t survive – but my green tree frogs croak from my gutters as usual. Nature’s not stupid as some would believe. Good point! Hadn’t really pictured that before. He will have bankers on the phone wanting to know how their billions are looking. But Al, you said it was a sure thing. He might be in Mexico? tide @ #159 – the links are broken. Thanks, Anne. Apparently, I have an extra “http://” in them – I’m learning! This seems to be a silly argument. If by Climate he means the atmosphere what would CO2 do to cause an Ice Age? Lets assume no CO2, then 100% CO2. What would happen? Has anyone run this as an experiment using a bottle full of CO2 and one without? Glass houses with up to 10% CO2 and they do not get hotter or colder. Aquariums with up to 2% of CO2 and they do not get hotter or colder. CO2 makes no easily measured difference. However, add a few drops of water. That makes a huge difference. No water in the atmosphere and its going to get cold. That will cause an Ice Age. If Lambert can figure out what happened to the atmospheric water then that may be useful. Why are alarmists/warmists such a cowardly bunch? Be it scientists or lay people they are scared off everything, they constantly feel “we have to do something”, every scenario ends in a catastrophe, a belief that their is a Mother Natuure and she is angry at the humans who are bad to the earth. Follow any of the alarmist scientists like Hansen, Mann and Jones and quickly you discover it is fear that drives their mothives, mostly inadequate middle aged white men, that fear overpopulation and overconsumption is going to destroy their way off life. Michael Mann always wanted to be successful at sports, the closest he came was inventing his own hockey stick, James Hansen deludes to being the next Napolean and Phil Jones, well he is just a deuluded sad old git. Fear, cowardice and delusions of grandeur drives these guys, as does their followers. If we Xanaxed the entire environ mentalist movement it would cease to exist. Water Wiz… I thought that Lambert’s argument was that Plimer contends climate sensitivity had to be higher for ice ages, wheras Monckton contends it is lower for other reasons. Pointing out that Plimer and Monckton could not both be right. Or am I confused with another bit of the debate? Yes, no reason feeling sorry for Jones. He is one of them. ended up writing the book “The sceptical Environmentalist” instead. Because he realised during his investigation that the state of the (Western) world is better than its ever been before. My most recent comment on the ‘Not FOUR degrees ..’ thread mentions each of you by name, so I point you to it from here (i.e. the most recent thread) as a courtesy in case you miss it. The only ally Matt seems to conjure up to defend his rather demented world view is that fool, Rabbit, who makes an avocation (probably his vocation at this point) of slandering people on his web pages who Rabbit thinks his god, the IPCC, would find displeasing. I wonder if Per’fesser Rabbit thinks he’s a role model for his college chemistry students? He isn’t. At the rate this list is growing I am soon going to need a scientific calculator to keep track. The IPCC’s hurricane nonsense has been tossed in the trash for several years running by hurricane forecasters in the National Weather Service. They’ve said over and over that hurricanes are no more numerous now than in the past in spite of bloviating alarmists crying to the contrary. And they have records going back a lot farther than the IPCC. You need only ask the people whose job it is to keep track of hurricanes to get the right answer. The IPCC suffers a double loss on this one. Your list is a classic! Not sure who said what. Its does not matter. The only thing that matters is that models must show how things happened. If they cannot be used to show the past then how can anyone use them to predict the future? The usual way to get a proper model begins in a lab, not at the computer. You breakdown all the variables then simulate each one till your sure the lab numbers match each simulation. Next you go to real life and see if your simulations can predict known real data. When you’ve got all this working, and it could take decades, that’s when you start predicting short term future events using a combination of simulations or a model. To predict long term events with simulated complex variables would not be reliable. Any error made would increase over time. Errors may not “cancel” each other out as models are skewed by simplifications to make them mathematically possible or deliberately to get more funding. I am yet to see any lab numbers that verify CO2 as a climate driver beyond the first 50 ppm. I see many lab numbers that prove water drives the climate from zero to 100%ppm. The IPCC should spend time measuring water in all its forms and no time measuring CO2. This would be useful. They could actually improve weather forecasting. Such forecasting seems unable to reliably predict weather even one month in advance or even one month in arrears. An independent critique of weather forecasts predicted vs actual for the last twenty years for all major BoMs would lead to a dramatic fall off in their credibility. The IPCC doesn’t “measure” anything now, not even CO2, and I shudder at the thought of turning them loose with any sort of responsible task. Thousands of measurements of “water” from around the world, generally in the form of relative humidity are already made ever hour and distributed routinely. These same sites generally report precip, and precip amounts. And upper air reports sample the atmosphere and report humidity at various levels, most generally at 00Z and 12Z. This has been common for many decades. I have no doubt the real data exists. The IPCC has ignored the main driver of climate, water. That makes the IPCC irrelevant. No cred, zilch, zero. They are quite frankly, stupid. You are absolutely right. In fact, everyone of the “gates” have already been debunked. Unfortunately, it took climategate for the media to start reporting the (old) news. Warming leads to quieter weather. Cooling drives violent storms. Poles swing widely in temperature, while the topics are stable. The strength of the air flows and hence weather depends on the steepness of the contrast. E.g. : weather and storms in the Little Ice Age were worse than anything seen since then. P.S. CO2 has been stolen from the atmosphere by phytoplankton making chalk and limestone. Subsidize CO2 production, and start up coal plants to cook it back out of all those white mineral deposits. We should target about 2,000 ppm, similar to agricultural greenhouses. No, Jones et al do not themselves feel fear; they want US to Feel the Fear. That way we’re more likely to do as we’re told. “Global Climate” is something defined within 100 000 year cycles or 24,200 year subperiods of that; unless people like Matt can explain why about 200 years of observations are unique so that something can be seen within those 200 years that was not observed before, then we arrive at the conclusion that CO2 has nothing to do with the climate in 200 years because it never did before. The most interesting part of Frank´s and Nikolai´s page is that they have managed to create an entire page based on the “hide the decline” meme while failing to notice even what the “decline” in Jones´ e-mail is about. The “decline” Jones and Mann are referring to has nothing to do whatsoever with the decline in measured temperatures from about 1940-70 (which is, by the way, nowhere near 0,34K, but rather about 0,1K). It is a decline that shows up in the tree proxies from about 1960 and onwards – and continues to this day. This is the decline in question – and unless you think that tree rings are better than thermometers in measuring the temperature from 1960 and onwards (and have magical abilities to make ice caps melt and cause the ocean to rise), then you must conclude that “the decline” in the skill of tree proxies is just that – a specific problem of the tree proxies. While a perception has been created in the weeks after the CRU emails were made public that Dr. Mann has engaged in the suppression or falsification of data, there is no credible evidence that he ever did so, and certainly not while at Penn State. In fact to the contrary, in instances that have been focused upon by some as indicating falsification of data, for example in the use of a “trick” to manipulate the data, this is explained as a discussion among Dr. Jones and others including Dr. Mann about how best to put together a graph for a World Meteorological Organization (WMO) report. They were not falsifying data; they were trying to construct an understandable graph for those who were not experts in the field. The so-called “trick”1 was nothing more than a statistical method used to bring two or more different kinds of data sets together in a legitimate fashion by a technique that has been reviewed by a broad array of peers in the field. It will come as no surprise to anyone having followed the climate debate in Denmark that Frank Lansner and Nikolai Skjoldby are not exactly the brightest shining stars on the already quite dim sky of climate “scepticism”. But that they have managed to confuse their very own page´s nominal topic itself and even show graphically that they do not even understand what the decline is about actually speaks volumes. With enemies of this sort, who needs friends….. I was trying to count how many lies could be found in those nine words, and had reached four, with promise of more…..
Christoffer, have you read all of the hacked CRU e-mails? Christoffer, when you present a graph to an audience and claim, “this line is tree ring data” then indeed the line should be tree ring data — not some arbitrary mix of whatever data seemed handy. If there’s a divergence in the data, then the divergence should be visible on the graph as presented. Hiding anything is unscientific.